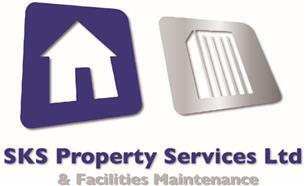 SKS Property Services Ltd & Facilities Maintenance - Builder, Home Improvements based in Kiveton Park, South Yorkshire. SKS Property Services Ltd was founded in 2008 with 26 years of experience within the Domestic & Construction Industry. We now have a second part of the business that covers Facilities Maintenance in the retail sector including Internal and External requirements. Working alongside a well known Bathroom company helping with their maintenance needs. We work to give our customers a personal and professional service to help them gain total customer satisfaction without any hassle. SKS Property Services Ltd carry out a wide spectrum of jobs on all properties so all We say is " One call covers all "
We cover all aspects of Building work, property maintenance, damp proofing and much more! Please take a look at our services page to see what we can offer! Feel free to give us that call now and make that appointment for you Free No Obligation Quotes and an easy and stress-free home improvement or maintenance contract. Take a look at our Website for more information: www.skspropertyservices.co.uk or our Facebook page!